(Natural News) America’s opioid epidemic has now become so bad that doctors and patients alike are starting to look more seriously into alternative medicine. As it turns out, there is one promising solution, and it has been around for more than one thousand years. Acupuncture, which is said to have originated in ancient China, is fit to play a vital role in solving the opioid epidemic in the U.S., according to a recent study that was highlighted by The Pacific College of Oriental Medicine (PCOM). To be more specific, the study focuses on acupuncture as a safe, affordable and readily available form of treatment for pain relief and management. The aim with using acupuncture to treat chronic pain and illness would be to mainly decrease the opioid dependence that is weighing down current health systems. And the beauty of it is that it can be used in different settings, from hospitals to government agencies and even private clinics. The case for acupuncture as an effective and safe form of treatment for both acute and chronic pain is backed by a growing body of research, says the report by PCOM. The strongest evidence is said to have emerged for back, neck, and shoulder pain; chronic headaches; and osteoarthritis. And the strongest evidence for acupuncture’s effectiveness is said to have emerged for back, neck, and shoulder pain; chronic headaches; and osteoarthritis. According to PCOM, the study found evidence for the effectiveness of acupuncture for 117 conditions. Some of the conditions identified include irritable bowel syndrome (IBS), many types of musculoskeletal pain, some types of headaches, post traumatic stress disorder (PTSD), stroke, vomiting, post-operative nausea, and obesity. It is also found to be “particularly safe and cost-effective” when compared with other known treatments for migraine and allergic rhinitis. That said, there is strong evidence that the effectiveness of acupuncture varies from one condition to another. In a separate study, which was said to be the largest of its kind to date, almost half a million patients received acupuncture treatment for headache, lower back pain, and/or osteoarthritis. The treating physicians rated the treatment as effective in 75 percent of all cases. A mere eight percent of patients showed some minor side effects, while only 13 patients in total had any major side effects. Still, some other studies have found that acupuncture, specifically electroacupuncture, can be of equal usefulness for patients suffering from joint pain, post-surgical discomfort, or sciatica. It’s also effective for the “infamously difficult-to-treat” fibromyalgia. In short, there could very well be a great multitude of people who will benefit from acupuncture as a form of treatment. In a detailed infographic, PCOM laid out the many benefits of using acupuncture to help in the opioid crisis. 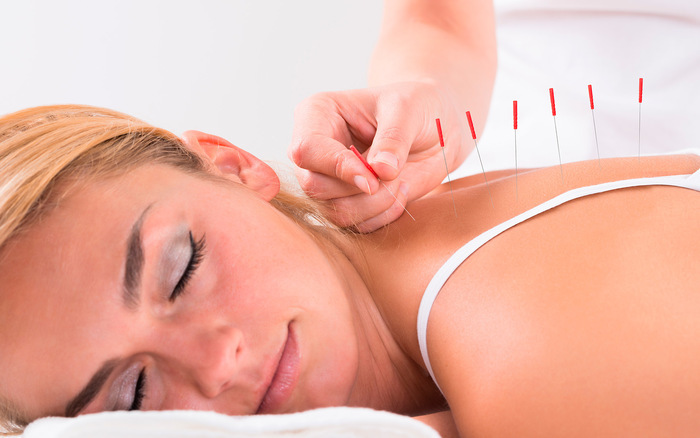 Although its origins reveal that acupuncture is actually quite an old medical practice, it has been adapted to become acceptable in modern medicine. To date, it has been determined that it can be used to treat more than 64 different conditions including insomnia, stress, infertility, and even sports injuries, according to information from the World Health Organization (WHO). Looking at it closely, it’s unclear that the use of acupuncture even has any negative aspects to it at all. The reason for this is that it’s simple, inexpensive, and readily available. In the worst case scenario, you’ll find that it has no significant effects on your condition. Otherwise, it could end up alleviating your symptoms. While the U.S. only makes up about five percent of the total global population, it is said that the country consumes 80 percent of the globe’s opioid supply. Such a serious matter requires attention from all sides, and in the case of treatment, going with acupuncture can only help.